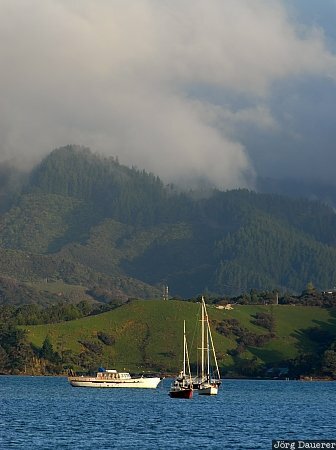 The foggy coastline of Coromandel Peninsula with some boats in soft evening light near Coromandel Town, Waikato, on the north island of New Zealand. This photo was taken in the evening of a rainy day in October of 2008. This photo was taken with a digital camera.